Christmas and New Year spirits come alive in the month of December and the entire world exults this moment of festivity. India is the land of varieties; therefore people living in different parts rejoice Christmas and New Year in their own style. Christmas and New Year celebration in India is somewhat analogous to the west, but it still has an essence of its own. It is the first national park of India. It was established in 1936 to conserve and protect the rare Bengal tiger. It is situated in Nainital district of Uttarakhand. It is spread in 1318.54 sq km including 520sq km of buffer area. 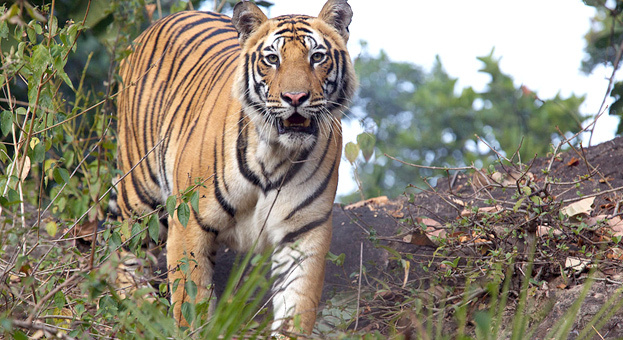 It is one of the most beautiful national parks in India and protects 160 tigers. This makes Jim Corbett National Park the most important bastion of this rare species in India. Park being located in the foothills of the Himalayas is rich in flora and fauna. There are over 600 species of birds, trees, bamboos, grasses, climbers, ferns, herbs and shrubs identified in the Corbett National Park. Sightseeing is permitted in some selected areas of Corbett Tiger Reserve so that the people get a chance to witness its marvelous landscape and varied wildlife. By Air: 50km from Poolbagh (Pantnagar) airport. By Road: It is very well connected with major cities like Delhi, Ramnagar and Lucknow. Ranthambore National Park located in Sawai Madhopur district of Rajasthan, is one of the largest national parks of Northern India. The park was established in 1955 by the Indian Government and it was then named as Sawai Madhopur Game Sanctuary. The Park’s terrain is a major wildlife tourist attraction spot that has pulled many wildlife photographers and sightseers. Tigers are the major attractions here. Tigers visit forests peppered with the battlements and spillovers of the Ranthambore Fort. By Road: It is 11km away from Sawai Madhopur and plenty of buses are available from there. 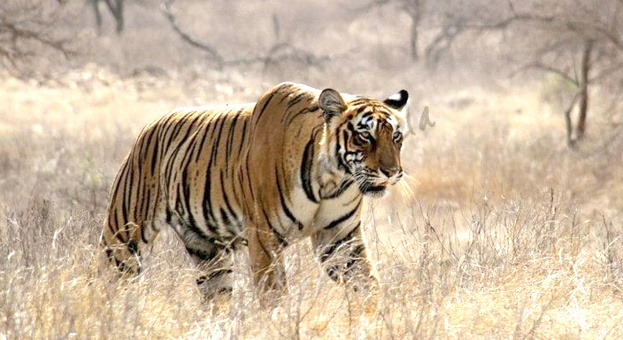 The Bandhavgarh National Park is one of the most significant national parks of India. It is situated in Umaria district of Madhya Pradesh. It consists of the core area of 105sq km and the buffer area of about 400sq km. Bandhavgarh National Park was the former hunting preserve of the Maharajas of Rewa and currently it is a famous natural hub for White Tigers. Making a trip to this national park will take you to the lush greenery of the wooded region that is amazingly the natural domicile of the variant wildlife species. By Air: Nearest airport are Khajuraho and Jabalpur. By Train: Nearest railway station is Katni (102kms) on central railway and Umaria (35kms) on southeastern railway. By Road: There is about 2.5hrs road journey from Katni. Kanha National Park and Tiger reserve is situated in the Mandla and Balaghat districts of Madhya Pradesh. It is filled with large varieties of flora and fauna. 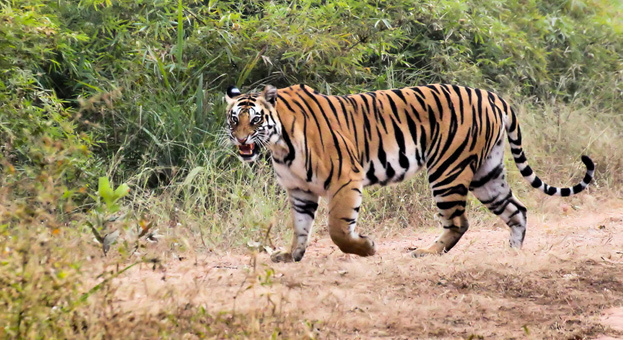 Kanha National Park is one of the finest tiger reserves of India. 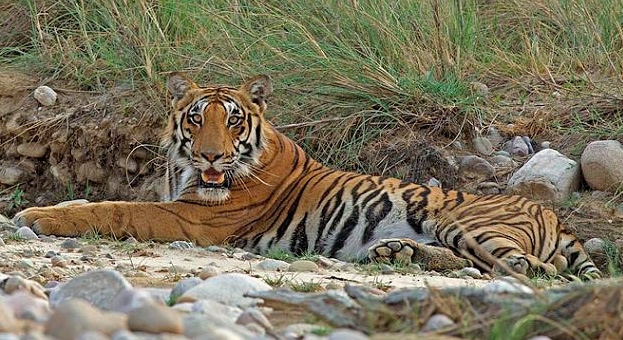 Tiger tour is undoubtedly a great option for nature lovers in Kanha. Jungles in Kanha National Park are famous for wildlife species like Barasingha, the swamp deer. This reserve fascinates many tourists from all over the globe. By Air: 160kms from Jabalpur airport. It is situated in Golaghat and Nagaon district of Assam. It was declared as a Tiger Reserve considering the fact that it boasts of the maximum density of tigers among the protected areas in the world. It covers the area of 430sq km and has river Brahmaputra on its North and Karbi Anglong hills on its South. 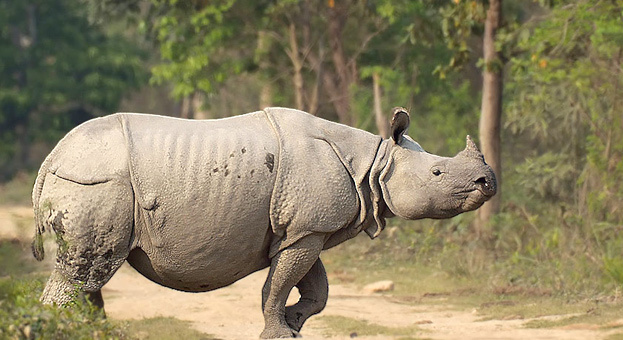 This park also conserves Indian one-horned rhino, which is a rare species. The Kaziranga Nation Park is a birding heaven; the grasslands that can be seen on a safari make it an astonishing experience. By Air: 217kms from Guwahati airport. By Train: 75kms from Furkating Railway station. By Road: Connected to Guwahati through NH37. Christmas and New Year are the moments that should be celebrated with great joy. These national parks having the mix of greenery and wildlife make it a perfect treat for the people who are planning to celebrate Christmas and New Year in nature’s lap.